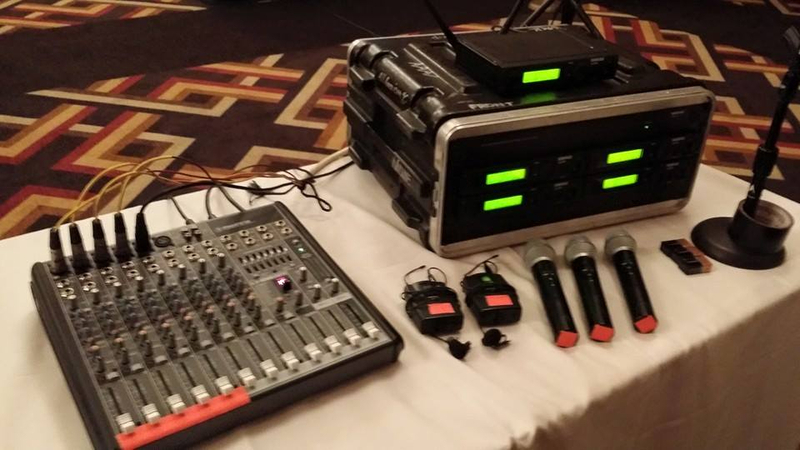 Did you know there are services that provide audio rental equipment for events and meetings? Using Houston audio rental services offers many benefits. For example, you don’t have to invest a significant amount of money to purchase the items. This is especially beneficial if you don’t plan on using the items more than one time. However, you can’t choose just any service for your audio equipment. After all, some rental services may provide subpar items. By taking some time to learn about the equipment needed, you can avoid this scenario. There are several types of audio equipment required for any event or meeting. The right Houston audio rental service can help you figure out what you need if you are unsure. There are several microphone options offered by audio rental services in Houston. You can choose from wired or wireless options. You can also select microphones that are hand-held, or attached to a stand or surface. Another consideration is if you want a unidirectional microphone or an omnidirectional one. A unidirectional microphone can pick up sound from just one direction. An omnidirectional microphone can detect sound from virtually any direction. If you have a limited budget for the audio equipment, they are more affordable. If the presenter or speaker is staying in a single location during the program. Due to the cord, those using the microphone are going to find they are limited to how much they can move. If you are planning a concert, presentation, or another event that includes lots of movement, a wireless microphone is preferred. Do you need even more versatility? If neither a wired or traditional wireless microphone is right, consider a lavaliere. This type of microphone is very small. It attaches to the users clothing or is an earpiece that is powered by a battery. These microphones typically cost more from the Houston audio rental service but offer more flexibility. Are you using more than one microphone in the room or space? If so, this creates the potential for distorted sound and screeching feedback. In this situation, you are also going to need a sound mixer. With this piece of equipment, you can increase or reduce the volume coming from each microphone. This ensures every speaker’s voice is accommodated. There are some guidelines for using microphones and mixers. You need one mixer for two to four microphones. If you have five to eight microphones, you need two mixers. An in-house sound system, which is often found in a meeting room, is set up in a unique way. It is designed to amplify the spoken word, but not alter it. If several microphones are being used, or if music is present, you need extra equipment. Additional speakers, amplifiers, and a mixer board is needed to help balance the sound. The sound mixer is especially important. This controls the feedback that can wind up ruining any event or presentation. The mixer is also used for increasing or decreasing the microphones volume. This helps to accommodate the more dynamic presenter, as well as those who are soft-spoken. 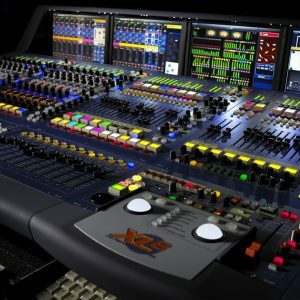 Another job done by the mixer is to enhance and balance the sound of any music or instruments being used. Speaker placement is a challenge, too. When you find a quality company offering audio rental in Houston, they can also help with setup. If the speakers are placed toward the back of the stage, behind your microphones, the screeching feedback is a real possibility. If they are placed on each side of the stage, issues may also arise. For example, they may block the presenter’s visibility to those seated on the side of the stage. If speakers are put in the room’s corners, they may not be properly balanced. As a result, the speakers may blast sound at anyone in front of them. Speakers and amplifiers work best for music when they are stacked or clustered. Anyone who works in the AV field understands this. If this does not describe you, then letting the professionals setup your equipment is best. What Makes a Great Houston Audio Rental Company? Now that you know what you need, you have to find the right rental service. Much like anything else, these companies aren’t always the same. You have to think about a few things before you make a decision. For example, what type of equipment does the company offer? Do they offer setup for the audio equipment? Do they provide ongoing support and service after you receive the rented item? When you use the services of Power Factory Productions, you don’t have to worry. This company offers the latest audio equipment options. They also provide affordable and competitive prices. If you experience a problem, they can help troubleshoot it. This type of peace of mind is not offered by other rental services. Is the company established in the local area? Do they offer references for past work they have done? Do they have experience with events similar to yours? Does their website highlight the services they provide? Take your time. Evaluate the services provided by at least two to three rental services. Doing this allows you to figure out the right company to use. Remember, when you are ready to choose, Power Factory Productions has years of service. They can help you determine what audio equipment you need. This means you don’t have to guess. You also don’t have to worry that the equipment isn’t going to meet your needs. If you are pressed for time, then hiring the professionals for help with audio setup is a good idea. They can ensure that everything works properly. They also provide ongoing services if an issue comes up during the event or meeting. When you are searching for Houston audio rental services, keep the tips here in mind.